The use of a towel-sized mat that defines the space on which an individual practises yoga seems quite modern. 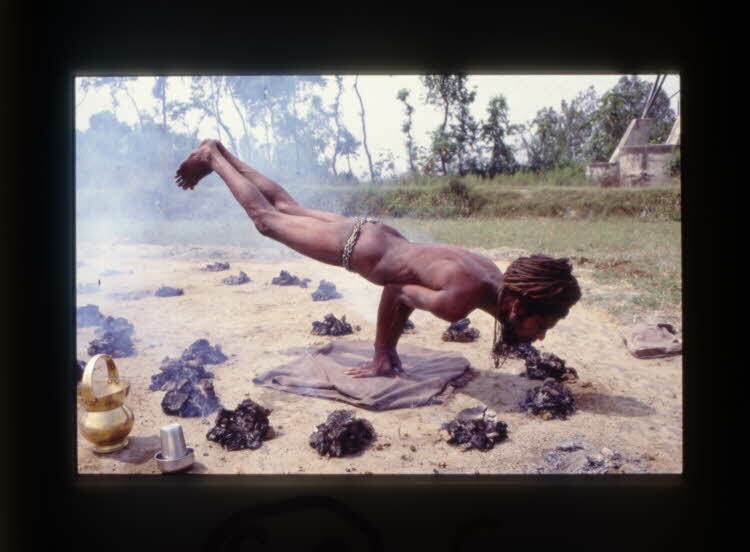 However, there are historical precedents for the size, quality and type of surface on which a yogin should practise. Well before Angela Farmer’s ingenious carpet-underlay and the commercial branding of eco-friendly sticky mats, the iconic yoga mat has a long and intriguing history. 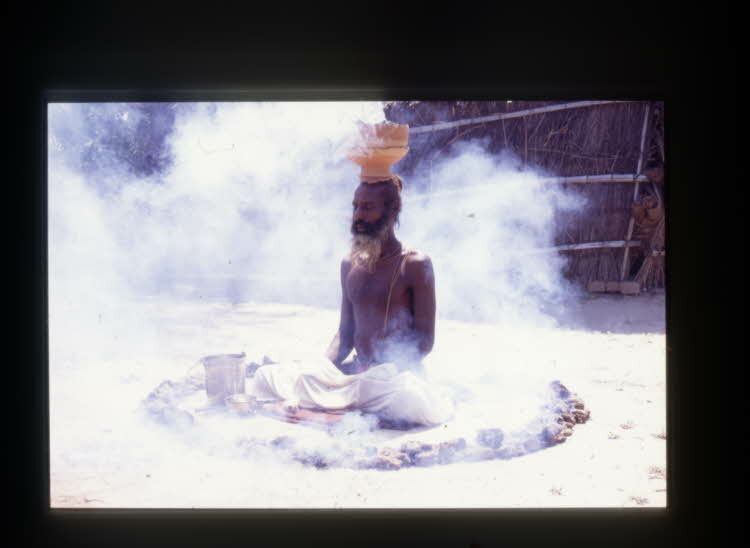 Yogins of various traditions have favoured certain materials for their mats, as far back as the Bhagavadgītā (circa 2nd - 3rd century CE), which prescribed that a yogin should sit on a steady seat that was not too high nor too low, and was covered with cloth, antelope skin or Kuśa grass (6.11). "Hear of the Āsana [mats] which have been prescribed by sages. One should know that a tiger's skin brings success in all things; a deer skin is for mastery over [one's] location; a mat of cloth destroys illness; one made of cane increases prosperity; a silk [mat] is nourishing [and] a woollen one alleviates suffering. In [performing] rituals that harm enemies, [one should use] a black [mat] and in rituals that subjugate [others], etc., a red one. In pacifying rituals, a white [mat] is prescribed and in all [other tantric] rituals, a variegated one. In rites that paralyse [others], an elephant's skin and in death-dealing rites, a buffalo's skin. [Alternatively,] in rites that expel [enemies], a ewe's skin and in rites of subjugation, a rhinoceros' skin. In rites that cause dissension, a jackal's hide is prescribed and in pacifying rites, a cow's hide. When repeating a universal mantra, [sitting] on a bamboo mat [causes] poverty [and sitting] on a wooden one, misfortune. [Sitting] on the earth causes suffering and on stone, disease. [Sitting] on a straw mat destroys one's reputation and [sitting] on [one made of] twigs causes mental distraction. And [sitting] on [a seat made of] bricks results in anxiety. 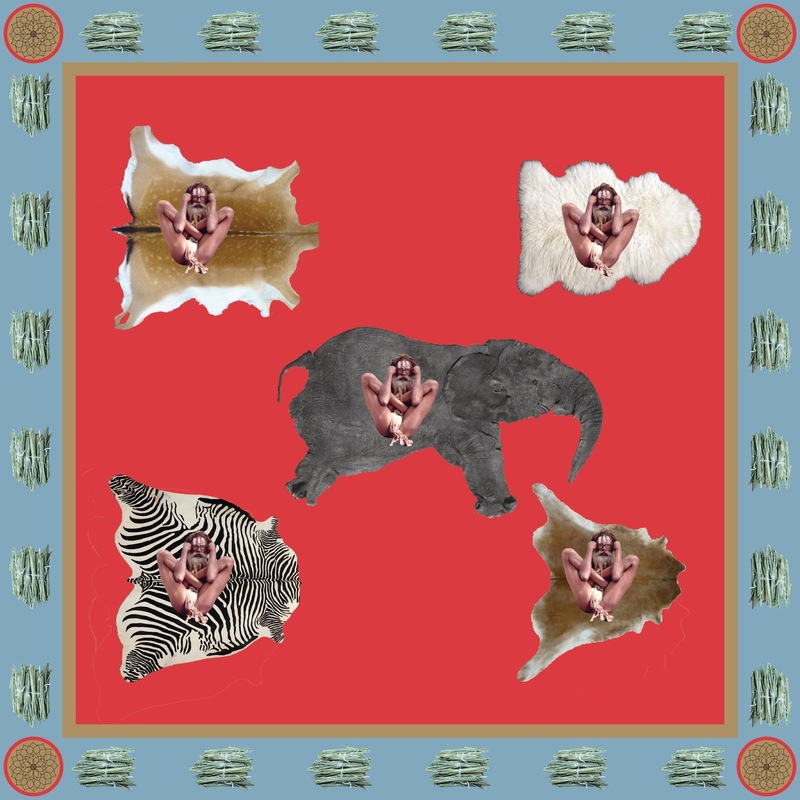 An initiated householder should never sit on a spotted black antelope skin. 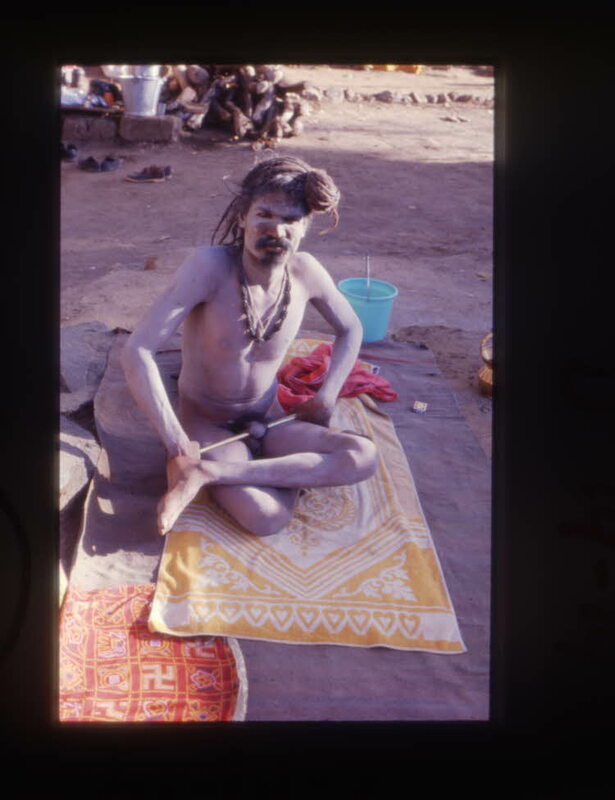 An ascetic, a forest dweller, a celibate (brahmacarī) and one who has taken the ritual bath [to mark the end of Brahmacarya] should sit on a completely square [mat] made of Kuśa grass, antelope skin or cotton, raised up one or two hands or four finger-breaths [from the ground]." The Puraścaraṇacandrikā is undoubtedly a compilation because many of its verses are found in earlier Tantras. It teaches eighteen postures and most of their names and descriptions occur in either earlier Tantras or yoga texts, such as the twelfth-century Vasiṣṭhasaṃhitā. Several of the postures described in the Puraścaraṇacandrikā, which cannot be traced to a pre-fifteenth century source, can be found in the Haṭhapradīpikā (15th century CE). Seeing that the Haṭhapradīpikā and the Puraścaraṇacandrikā were probably written in the same century and that both are compilations, it's likely they borrowed these descriptions of Āsana from an earlier text that is no longer extant. It should be noted that such injunctions on the type of mat are not seen in Haṭhayoga texts. 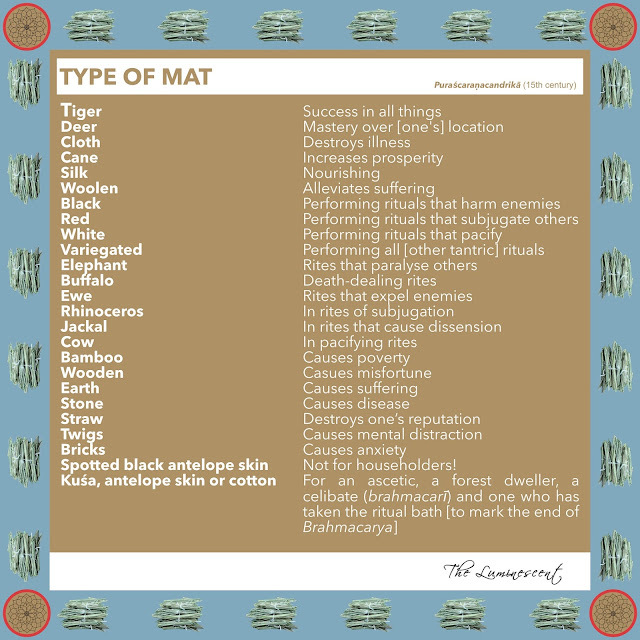 In contemporary times, the make and brand of a yoga mat is often a clear indicator of the style of practice; Aṣṭāṅgavinyāsa practitioners preferring the cotton threads of a woven Mysore rug, while Iyengar yoga practitioners tend to favour a sticky surface that can be easily folded for use as a prop. With the advent of group classes, the particular direction and the gap between mats to allow for maximum attendance (or minimum interference) seems to depend not only on the popularity of the class but also cultural customs regarding personal space and teaching methodology for particular styles. Many of these rules are unstated, some are rational, others form part of an evolving ritualised tradition handed down from teacher to student, thus forming new conditioned behaviours. 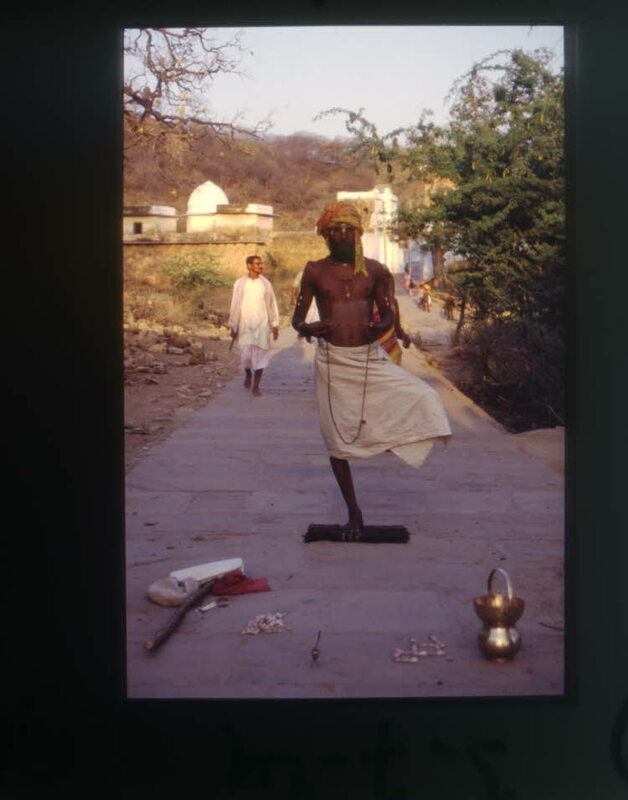 Some behaviours are obvious cultural observances inherited from India, like the simple action of taking off footwear (a sign of respect for the place and the teacher). However, many normative values have developed to help govern personal space while practising in a place shared with others and these often serve a functional purpose, such as the use a sticky surface to safely navigate postural proficiency. As various unspoken understandings of behaviour have evolved in modern postural yoga, use of the mat has come to symbolize an individual’s pursuit of transcendence (or personal health) as opposed to taking action in the community. 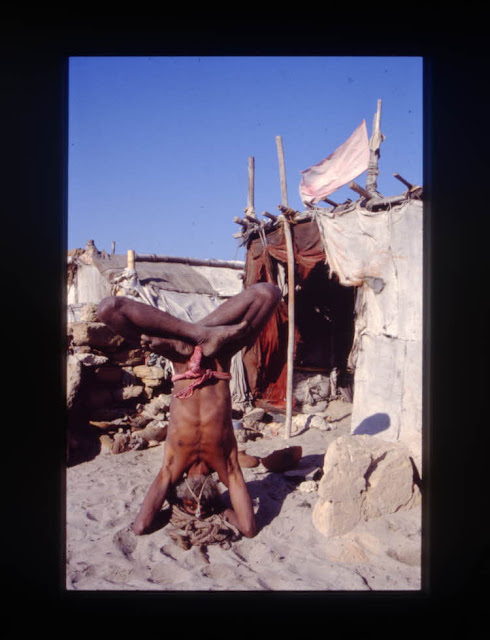 This has led to the coining of slogans such as “Off the mat and into the world” in an attempt to combine concepts of social service and conscious activism with the practice of yoga. When viewed in contrast to the medieval tantric concept of attaining both liberation and worldly power through yoga and ritual performed on a specific mat, these slogans seem quite ironic. * The Puraścaraṇacandrikā was quoted by name in a text called the Kramadīpikā, which was probably composed sometime after the end of the fifteenth century (see Alexis Sanderson, The Śaiva Literature, 2014, p. 69 n. 267). The Puraścaraṇacandrikā contains verses of texts that can be dated to the 12th – 15th centuries. Therefore, Devendrāśrama, the author of the Puraścaraṇacandrikā, probably lived in the fifteenth century. Much of the Puraścaraṇacandrikā's section on āsana is quoted with attribution in the Puraścaryārṇava (6.109 – 11, 6.116 – 42cd) of Mahārāja Pratāp Singh Shāh of Nepal (1774–1777). The section on mats is largely reproduced (without acknowledging the source) in the Tārābhaktisudhārṇava of Śrīnarasiṃha Ṭhakkura 1668 CE, (the Tantrik Text Series by Arthur Avalon, 1940, p. 367) and a paper manuscript called 'Āsana' (f. 1v) in the National Archives of Kathmandu (E0991-09), which is a compilation of various Āsanas and hand Mudrās. Textual parallels are also found in the Aṃśumadāgama (IFP TS3-019), the Sammohanatantra (quoted in the Prāṇatoṣiṇī (1820 CE) of Rāmatoṣaṇa Bhaṭṭācārya, the Merutantra and the Dīkṣāprakāśa of the Maithila Jīvanātha (1869 – 70). A similar verse to vaṃśāsane, etc., is quoted and attributed to the Nāradapañcarātra in Gopālabhaṭṭa's Haribhaktivilāsa. Thus, it appears that these verses found their way into a number of Tantric compilations in the late medieval period. NGMPP A42/5; from folio 5r, line 2 onwards. Please note the following: munibhir ] emend. : munir Codex. niśāmaya ] emend. : niśomaya Codex. śrīvivardhanaṃ ] corr. : śrīrvivardhanaṃ Codex. meṣī ] corr. : maiṣī Codex. 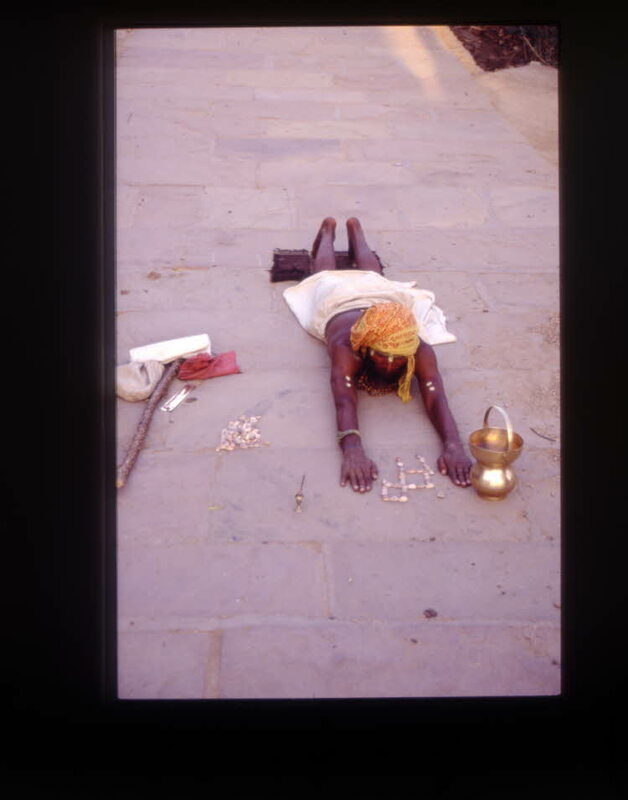 The Hartsuiker Archive of colour photographs has recently been catalogued and made available by the British Museum. This archive documents Indian mendicants or Sādhus, mostly Hindu, but including some Jain practitioners, in the later 20th century in northern India. The images were taken by Dolf Hartsuiker over many years, from the 1970s onwards. There are 1900 colour slides, divided in 1600 35mm slides and 300 in 6x6 format. 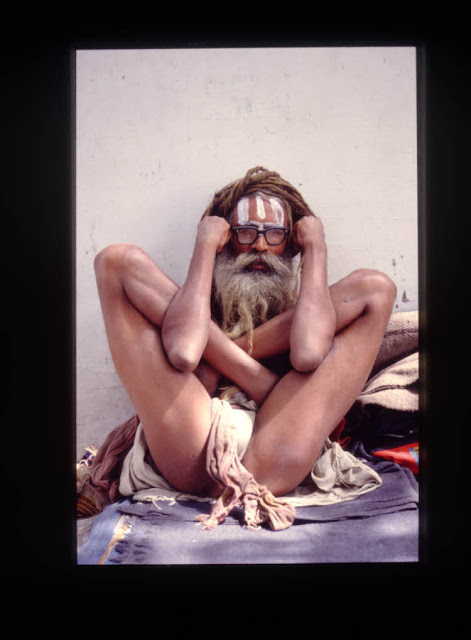 It offers an extraordinary account of a variety of yogic practices ranging from the physically demanding headstand variations (Viparītikaraṇi) and peacock pose (Mayūrāsana) through to extreme forms of tapas, such as standing on one leg for many years. The images also include ascetic methods for maintaining the vow of celibacy (brahmacarya) that are still practised in India today. Here are just a few that we have enjoyed viewing so far. We believe this archive will be a valuable resource that informs ethnographic research in the future. This is the last section of a talk given by Dr Jason Birch as part of a special event held at The British Museum (8th April) called "Yoga: Austerity, Passion and Peace." It provides a brief overview of the Haṭha Yoga Project, a five-year research project hosted by SOAS University of London funded by the ERC. The presentation slides of the complete talk are available for download here.